The transit tube in the screen shot has been disabled for several cycles. A dupe just went up it. Maybe this has to do with residual charge. 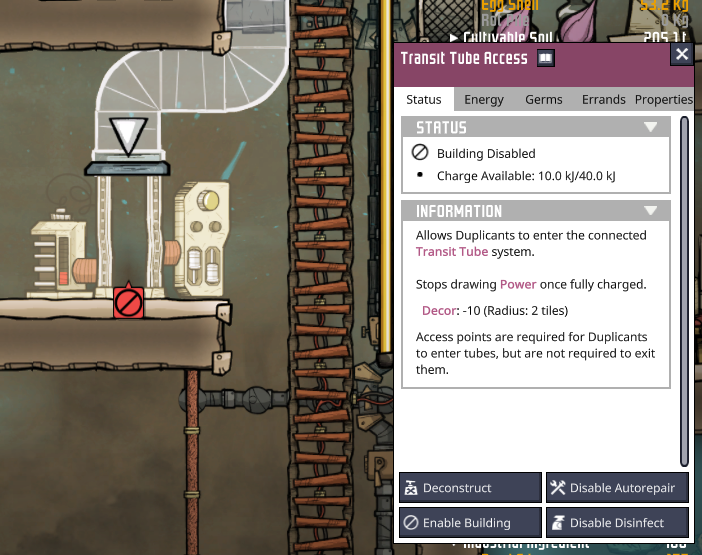 The tube is not recharging after the dupe used it. Same for me. Seems to not using power in the report.